Budapest Zoo is one of the oldest Zoos in the World! Budapest Zoo, known as the Budapest Zoo and Botanical Garden is one of the oldest zoos in the world. It is also the oldest zoo in Hungary. This zoo also acts as a research and conservation center with engendering programs for threatened native and exotic species. The zoo offers a spectacular animal display representing the Arctic region, the African Savannah, and the wetland habitats. It boasts of a population of more than 200 primates, which has earned the zoo international reputation. You will find here large family groups of playful monkeys. 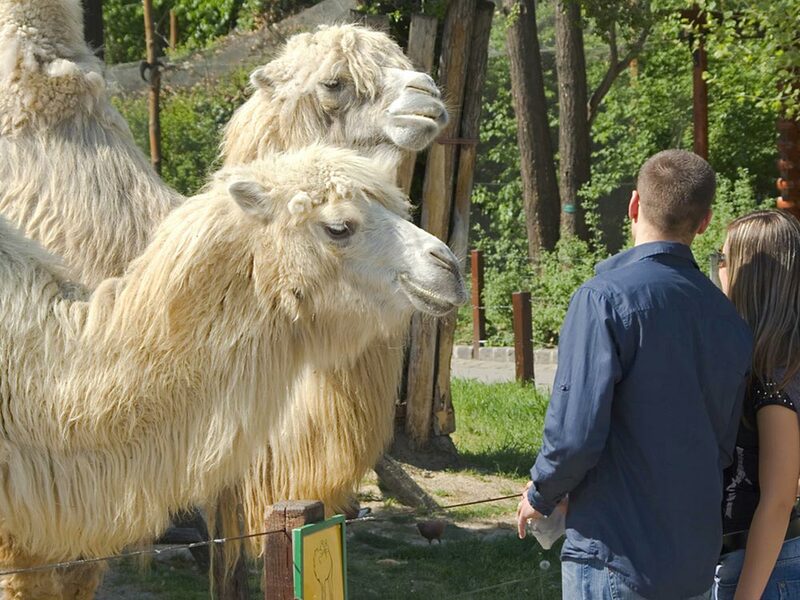 The Budapest Zoo can be a great destination for a day’s outing. Bring along your children as they are sure to have a good time here at the Children’s Zoo, where they can have close encounters with the gentle creatures. The zoo also holds ‘Animals in action show’ twice a day. Budapest Zoo features a beautiful park, which is home to several species of trees, shrubs, and flower beds. The park is now under conservation order for its ecological importance. You can visit this park to experience calm and serene moments far away from the hustle and bustle of the city life. There are several sections at the zoo that specialize in certain species of animals. The Magic Hill is one of the recently added highlights of the zoo. The lowest level of this section houses marine animals from rays to horse-shoe crabs. With the Time tunnel visitors undertake a historical journey of the evolution of flora and fauna from the inhabitants of primeval oceans to the prehistoric man. Other sections of the Zoo include Savannah Zone, Australia Zone, Madagascar Zone, America Tropicana, and so on. The zoo also has a farm where ancient Hungarian livestocks are bred. It is a peasant farm of period buildings from the upper Tisza region and you will find several animals here such as spotted cattle, swallow-bellied woolly pigs, mudi dogs, bold necked hens, cikta sheep, and hucul horse. The Budapest Zoo was opened to public on August 9, 1866. It covers an area of 10.7 ha. It is home to more than 2,000 animals. The Budapest Zoo is located in Városliget Park in Hungary. 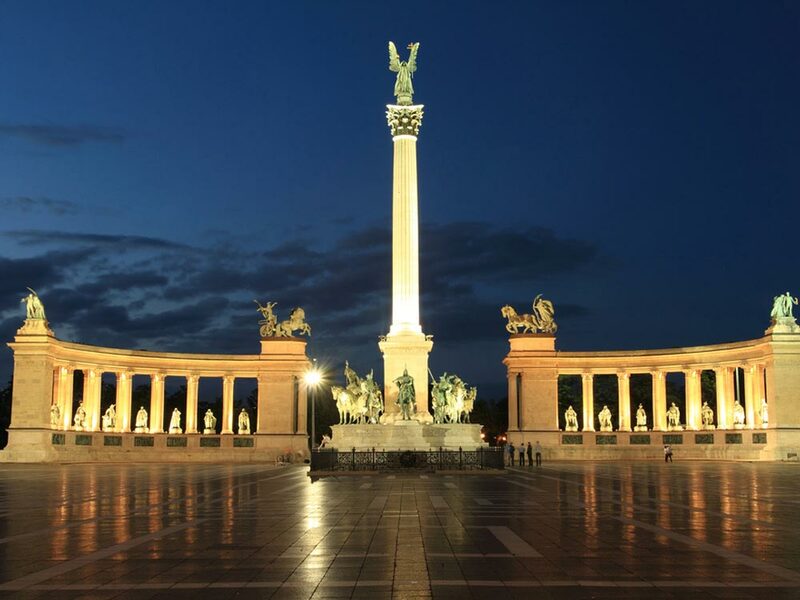 You can reach the zoo within 24 minutes by car from the Budapest Liszt Ferenc International Airport. 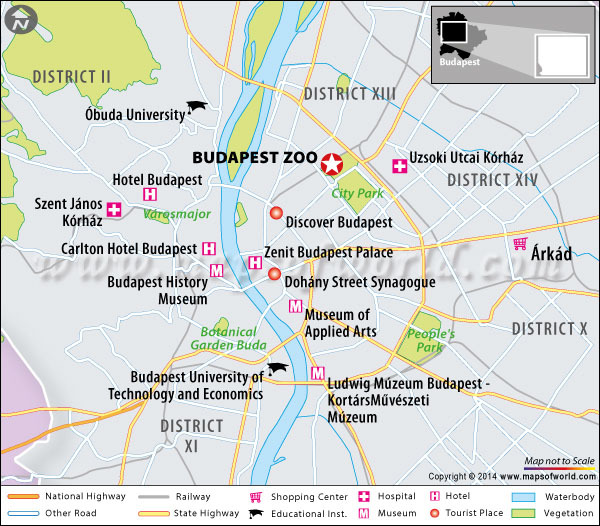 If you choose to travel by metro, Line 1 (Budapest Metro) reaches the zoo. The best time to visit Budapest is spring and autumn as the weather is pleasant and there is no crowd. Thus, you may plan your tour to the zoo around this time. The zoo opens at different timings during various seasons. Check out the updated information on visiting hours at zoobudapest.com. The entry ticket for an adult costs 2,500 HUF (Hungarian forint). The ticket for child (age 2 to 14 years) costs 1,800 HUF. A family ticket (including 2 adults and 2 children) costs 7,300 HUF. 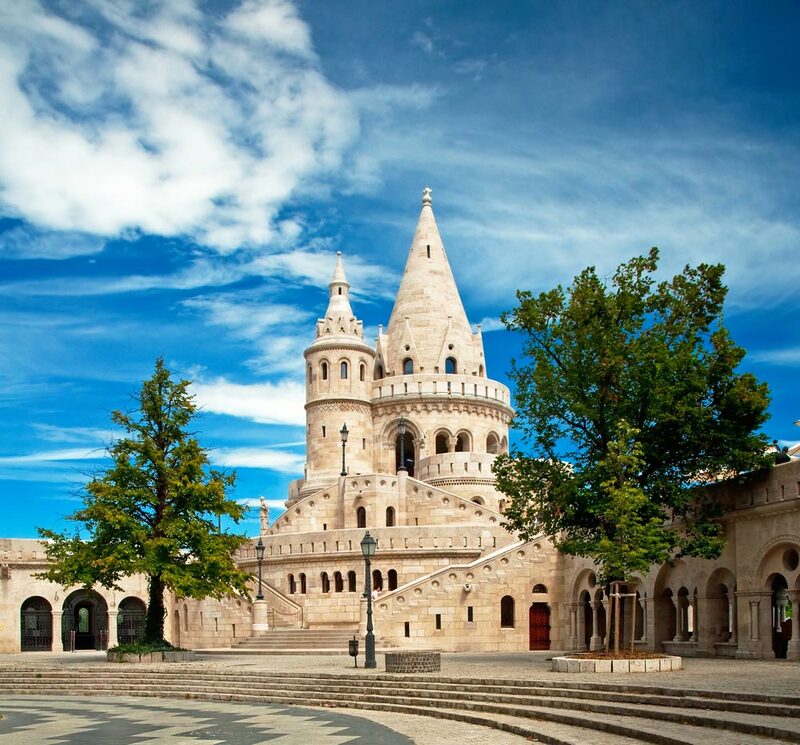 Nearby Attractions: Palace of Arts, Chain Bridge, Fisherman’s Bastion, Budapest Operetta Theatre (Budapesti Operettszínház), Castle Hill, Danube, St Stephen’s Basilica, and Holocaust Memorial Center.